“We are excited to bring closure to fans,” he said, acknowledging the work of the production crew whose jobs have been up in the air after multiple people accused Spacey of sexual assault. Monday’s update — wildly speculated — follows the streaming giant’s Nov. 3 decision to sever ties with Spacey following mounting allegations of sexual harassment against the actor. Sources at the time told THR that season six was almost entirely written before Star Trek actor Anthony Rapp went public Oct. 29 with allegations that Spacey made unwanted sexual advances toward him in 1986 — when Spacey was 26 and Rapp was 14. Production on the first two episodes had already been completed and a table read for episode three was on the schedule. The final season was originally supposed to run 13 episodes. 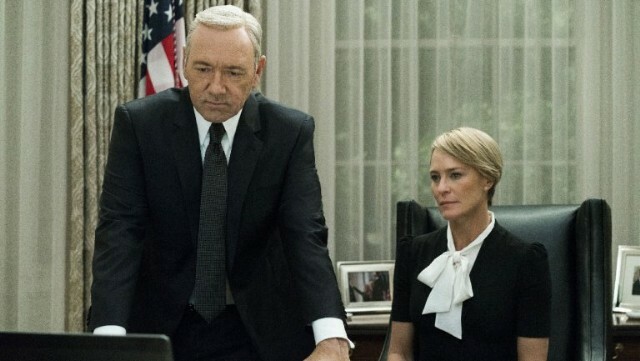 House of Cards was Netflix’s first original series order. It debuted in 2013 to much acclaim and immediately put Netflix on the prestige TV map. In its first five seasons, it nabbed 46 Emmy nominations and six wins. The series counts David Fincher, Wright and Dana Brunetti as executive producers. The decision to move forward without Spacey comes after director Ridley Scott, in a monumental move, removed Spacey from his completed feature All the Money in the World within weeks of its theatrical debut. Christopher Plummer will take over Spacey’s role as J. Paul Getty in the feature, due in theaters Dec. 22. Spacey was also removed from CBS’ Carol Burnett 50th Anniversary Special.